After quite a long break from exhibiting (more on that later), I am pleased to announce that I will be participating in the 21st annual ACT for Kids Art Exhibition at White Canvas Gallery in Fortitude Valley, Brisbane. The fundraising event is to take place on 14 May at White Canvas Gallery and its corresponding exhibition will continue until 25 May. A portion of all sales will be donated directly to ACT for Kids. ACT for Kids is a not-for-profit organisation which provides free services to treat and prevent child abuse, delivering professional counselling to abused and neglected children through a network of ACT for Kids centres. ACT for Kids has helped thousands of children and families overcome the pain of abuse since being established as the Abused Child Trust in 1988. For more information about ACT for Kids, visit www.actforkids.com.au. I am really excited to be supporting this great organization by exhibiting Divas by Moonlight 1, 2, and 3, which have only been briefly displayed once since their creation. Hope you can get by to see the exhibit! 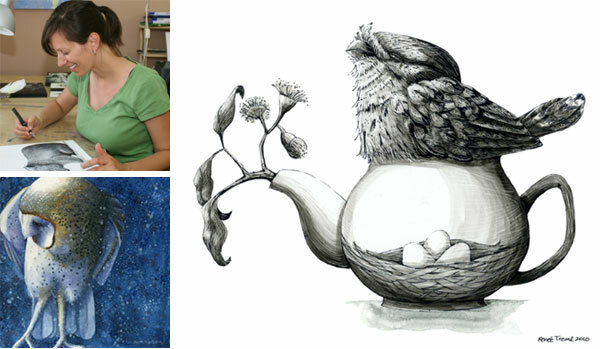 I just wanted to share a link to a lovely new stockist of my work in Tasmania — http://nestpenguin.blogspot.com/. Nest is located at 82 Main St, Penguin. Natalie has some amazing work in the shop. I can’t wait to visit myself someday soon! My favorite online store for Australian art and design, Udessi, is having a big sale this month as soon-to-be-mother and owner, Kim, is preparing to take a break from the business. Many of my prints are still in stock and there are loads of other wonderful art works for sale. Check it out at www.Udessi.com. I will really miss Udessi and especially Kim, but will continue to sell my prints online at Etsy and through various stockists. Last year I wrote a demonstration article for issue 82 of Artist’s Palette Magazine. This demonstration follows how I create an illustration on white clayboard and features one of the pieces from the Who Needs Trees? triptych. 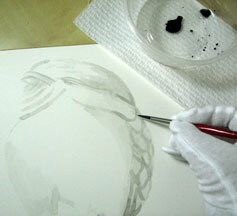 You can view the PDF at Demonstration: Clayboard & Ink. If you want to read a more about my background and process, you can also see the PDF of the accompanying article here: Insight: Relocation. Thanks to Artist’s Palette for this wonderful opportunity! 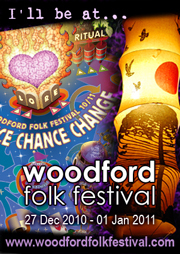 I will be teaching art workshops at this year’s Woodford Folk Festival in Queensland. Details: Tues 28 Dec and Thurs 30 Dec, 9am-12 Illustrative Drawing and 1pm-4 Scratchboard. Welcome. I am finally setting up my new website after 7 years with the old one. I hope you enjoy. In this section I will highlight upcoming events, markets and workshops as well as provide previews of upcoming works.